"She did fabulous! So good, I woke up fabulous and wore it the next day." "I absolutely enjoyed working with this beauty. She does AMAZING work with no effort whatsoever. Very professional, on time, and will keep you smiling. To know that you can go from beauty to beautiful in an hour, just blows me away. I had the honor of having Imogene do my makeup for the best day in my life, my wedding, and she did fabulous! So good, I woke up fabulous and wore it the next day. I'm blown away how one can transform one's face. She did! So if you are looking to be fabulous and beat on your special day or event, then you must book Imogene! She will blow you away!" "On my wedding day I felt like the most beautiful bride in the world, that was all made possible by Imogene. My make-up was FLAWLESS for the entire day (and then some)! 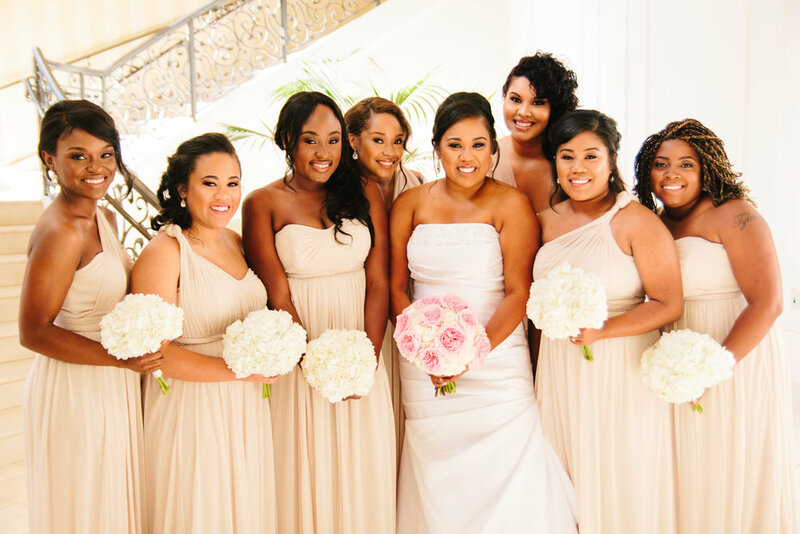 Imogene matched 6 different skin tones perfectly, everyone in my bridal party looked perfectly in sync! She arrived on time and was very organized, her bubbly personality will light up a room, and she did just that on my wedding day. Choosing Imogene as my MUA was the easiest and best decision I made during my entire wedding planning process, you CAN NOT go wrong with Imogene!" "My make-up was FLAWLESS for the entire day (and then some)!" "One of the qualities I am grateful for with Imogene was her ability to work with a variety of women and shades and personalities"
I am very grateful I was able to have Imogene and her artistry for both engagement photo shoot and wedding day. Her artistry was a blessing to my bridesmaid, mothers and myself. One of the qualities I am grateful for with Imogene was her ability to work with a variety of women and shades and personalities. Her artistry and spirit is truly a blessing to work with. I could not have had asked for a more sweeter or talented MUA!